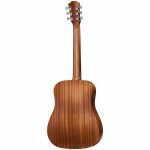 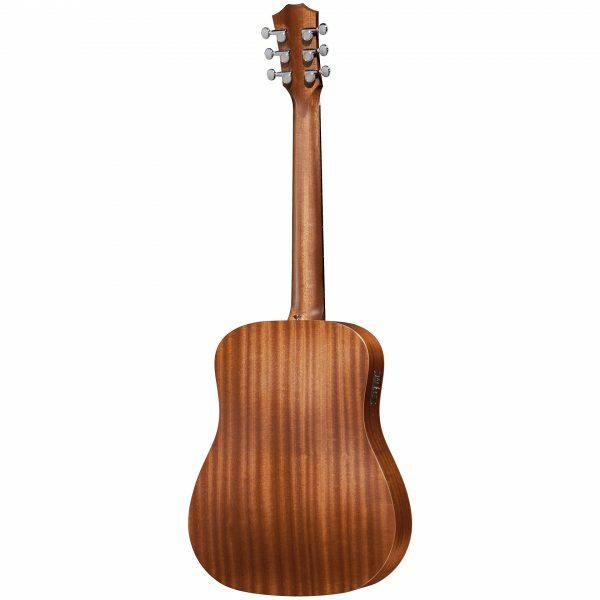 The mahogany-top version of the Baby Taylor will yield a slightly darker, earthier tone than its spruce top sibling. 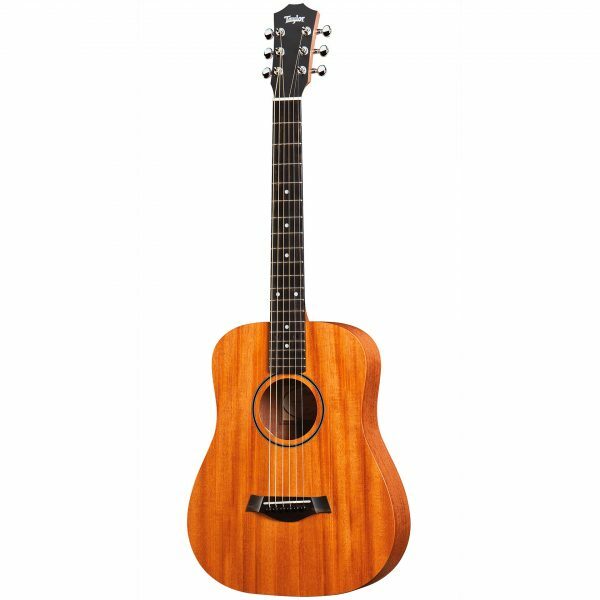 The pint-size Dreadnought was originally inspired by a desire to provide a smaller, starter-size guitar for kids and a legitimate musical companion for travelers, but players have since adapted it for their needs in all sorts of creative ways, from high-stringing it to setting it up to play lap slide, to embracing alternate tunings that add unique acoustic flavors to recordings. 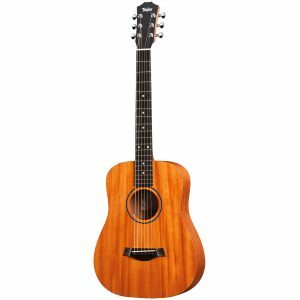 This model also comes equipped with the Expression System Baby (ES-B) pickup, which incorporates piezo design elements from the Taylor ES2. The pickup is powered by an onboard preamp with a built-in digital chromatic tuner. The preamp/tuner unit features an LED display for tuning and low battery indication, along with Tone and Volume controls.